In 1961 groups of volunteers made history by challenging the practice of segregated travel through the South. They called themselves Freedom Riders as they crossed racial barriers in depots and onboard buses. The 1961 Freedom Riders did not begin or end their journey in Montgomery, Alabama, but their arrival changed the city and our nation. Freedom Riders, black and white, male and female, none of them older than 22, stepped off a bus at the Montgomery Greyhound Station on May 20, 1961. They were prepared to meet mob violence with non-violence and courage. They prepared farewell letters and wills. Their goal was to help end racial segregation in public transportation. And they did. Blue Star Museum: The Freedom Rides Museum proudly offers free admission to active duty military personnel and their families between Memorial Day and Labor Day. 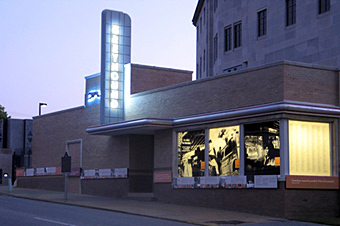 U.S. Civil Rights Trail: The Freedom Rides Museum is now recognized as an official destination on the trail along with more than 100 locations across 14 states. Come learn how 21 young people transformed our nation's history using nonviolent protest methods. The site is not available for rentals. Driving south on I-65 take Exit 172 (Clay Street). Stay straight on Dickerson Street. Take a left on Herron Street (becomes Bibb Street). Turn right on Lee Street (becomes Court Street). The Freedom Rides Museum is up the hill on the right.